This heavily-veined, pink orchid loves the growing conditions in Bangor Land Trust's, Walden-Parke Preserve. 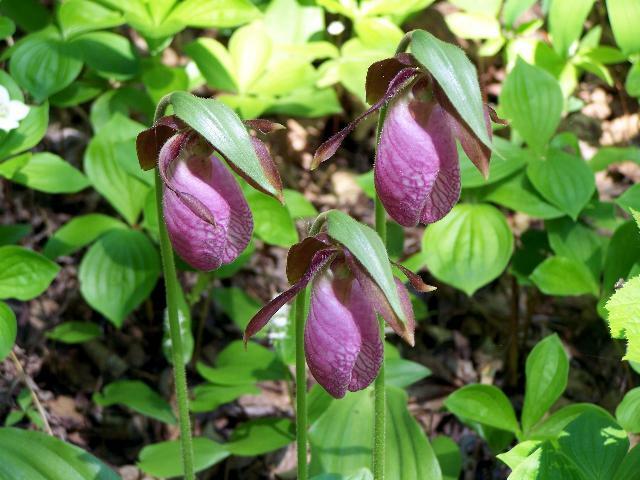 They are a fairly low flower - 6 to 15 inches tall and prefer acid woods and sometimes bogs. In the spring of 2014, they were blooming in Walden during the first week of June and are quite prolific there. They are otherwise very uncommon and hard to find, so please do not disturb them.